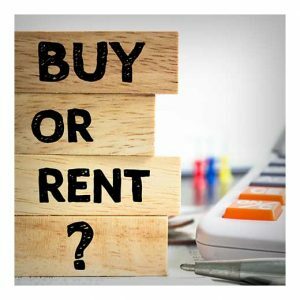 Trying to decide between renting or buying a home? Of course, buying a home gives the stability of a mortgage. And renting a house or apartment allows for tremendous flexibility of location. But there must be more, right? Is flexibility the only reason to rent? Amenities are an often overlooked but important aspect of renting a unit in an apartment complex. If you buy a house, not many conveniences are included. Gyms typically require a $30-$50 per month membership plan. You may have to drive to a far location to play tennis or basketball, or to swim. And, almost certainly, your home will not come with a playground. Imagine all these expenses as monthly fees in addition to your mortgage. However, many apartment complexes include such amenities and more. Many pro-and-con lists are created for this type of decision. Realtor.Com has a convincing video for the pros of renting. For example, if you rent, you may have access to amenities that, as a homeowner, would not typically be within your reach. Similarly, renters often do not make home repairs. Rather, property managers and landlords take care of them. Many apartment complexes have onsite maintenance and even 24/7 emergency maintenance. Everyday maintenance issues are taken care of by property owners or landlords. Furthermore, you may wake up to an upgraded wifi network, new central air unit, or a newly carpeted hallway. What renters lack in ownership they gain in freedom. If you don’t like your neighborhood, feel an itch to move, or want to explore the world, renting is a good option for flexible people. Leases aren’t mortgages. With renting, you aren’t locked in for 30 years. The decision to rent or buy is one of the more important decisions you’ll have to make. The worst thing to do would be to listen to cliches. As we have seen, renting isn’t just for people who want flexible living arrangements. There are reasons to rent long-term. It is not accidental that rental properties are thriving: the numbers don’t lie. Renting has many appeals, from communal living to practically maintenance-free living. And renters don’t need to acquire realtors. Many apartment complexes now have their own websites. Utilizing the tool ApartmentsForUs.Com proves that finding the perfect apartment in this day and age is a breeze thanks to the rise of digital marketing.